The New York Yankees are baseball’s most storied franchise, setting the tone for a professional sport franchises on and off the field. Now they have set the bar higher yet again, but not without controversy. Last month Yankee Stadium became the first sports facility to earn the federal SAFETY Act designation, meaning that the facility has passed a battery of tests and won approval from DHS, giving the franchise broad immunity against lawsuits stemming from a terrorist attack on the stadium. The designation has been given to many defense and security companies since DHS started awarding it in 2004, but, as NBCnews reports, Yankee Stadium is the first sports arena to become immune to general lawsuits which could be filed by victims of future terrorist attacks. The National Football League was also placed on the list in 2008, but that designation only applies to the Super Bowl according to experts. 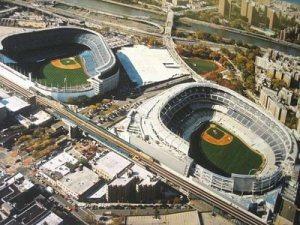 Yankee Stadium uses two companies for its security. Securitas, which does armed and unarmed security around the world, does the in-game security as well as concerts and other non-game events, and Guardsmark handles 24-hour and off-season security for the stadium. Supporters of the SAFETY Act argue that it gives strong incentives for security companies to step their standards up, while those who oppose the act contend it takes away a basic right of consumers and gives companies a reason to slack off because there is no penalty if the product or service they offer does not perform as advertised when a terrorist attack takes place. John Bowman, director of federal relations for the American Association for Justice, an organization of trial lawyers, thinks that the SAFETY Act (SAFETY stands for Support Anti-Terrorism by Fostering Effective Technologies) was part of the legislation which created DHS in 2002, legislation inspired by immediate post-9/11 fear.. If a terrorist attack happened at Yankee Stadium the act would keep the stadium owners from losing millions, perhaps billions, of dollars. A report by the European Organization for Security, which is helping the European Union consider similar terrorism-related tort reform, says that $40 billion in private claims was paid out by insurers in the wake of 9/11, with billions more in claims still unsettled. Bob Karl, who operates SafetyActConsultants.comand has helped dozens of companies receive certification, thinks the act is essential for companies which want to use new anti-terrorist technology. Companies are concerned that with each new gadget they deploy, they incur new liability, he told NBCnews. Karl mentioned a company which invented a new radioactivity detector for cargo container ships. Selling the detectors would be a $10 million expense for a multi-billion dollar company, but the company feared that if something went wrong, victims could sue for the entirety of the company’s value. Karl said it made no sense for the company to take a risk like that and that they did not start selling the device until the company was protected under the SAFETY Act. The Act also bans punitive damages on interest accumulation related to any potential judgment. Victims also cannot sue for negligence. Critics may consider the Act a get-out-of-jail-free-card, but the Yankees are the most popular team in professional baseball and the fact that they play in New York City could make them a prime terrorist target. Debating the merits of the Act aside, it does provide a sense of security to know that the franchise takes their security seriously enough to push for the designation.